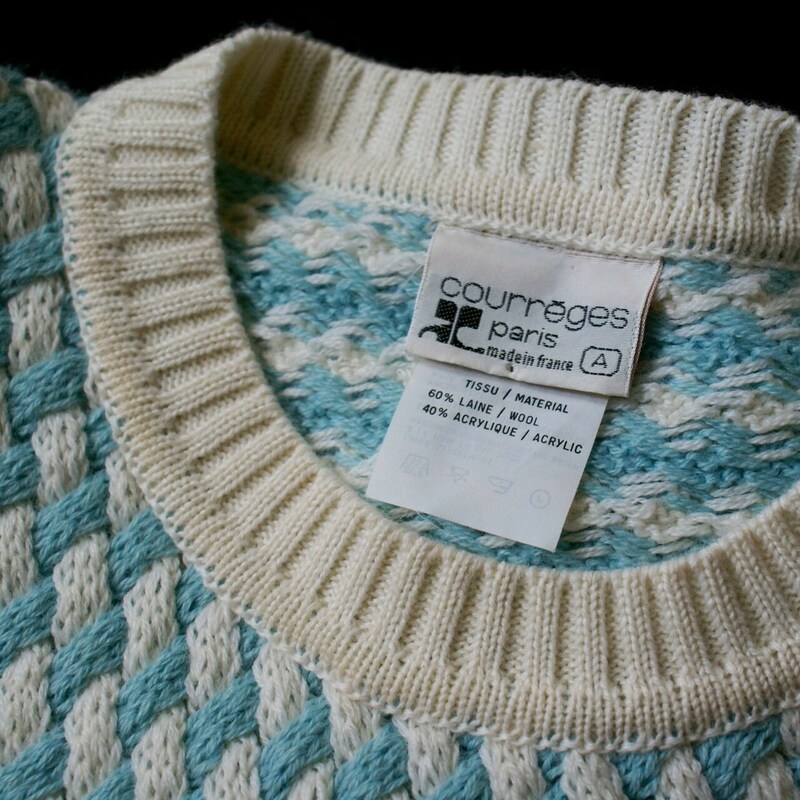 Gorgeous 80s Courreges pullover mixed with batwing sleeves. Mint condition! 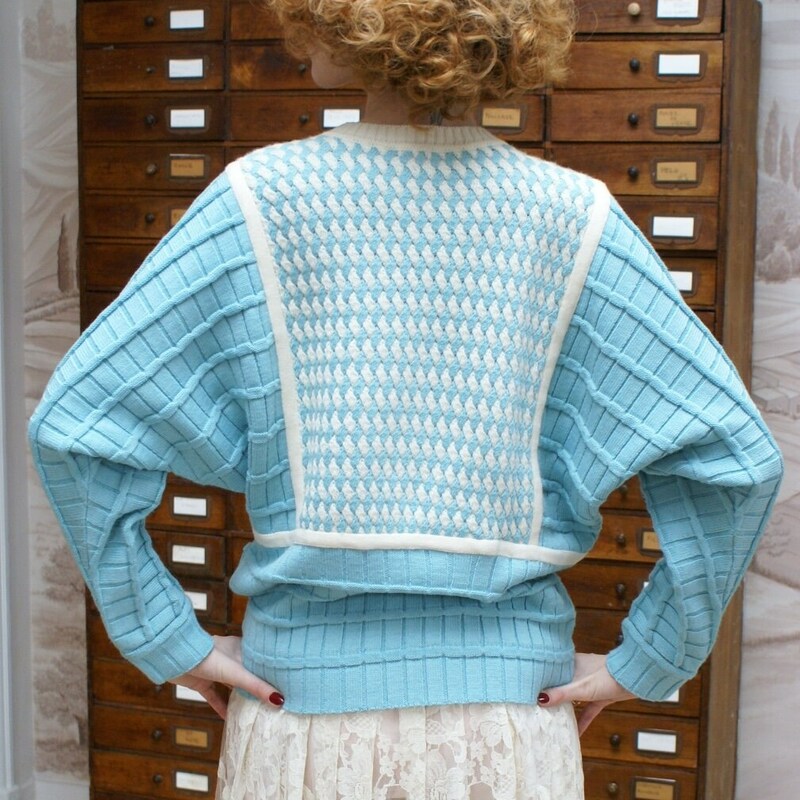 Blue and white with a beautiful patterns to knit the same 2 sides. Size A which is equivalent to a 36-38.